James McQuivey has written a neat post at his blog at Forrester that looks at Apple’s possible future in the television business. The post indicates that the television arena is not really about the actual television. Instead, it is about big names such as Apple, Microsoft, and Google wanting to add the television to their existing platforms. In that race, research supports that Microsoft is ahead of the pack with their Xbox 360 entertainment/gaming console. However many consumers are wondering if Apple would become the ultimate runaway success when it releases its rumored television. While that definitely sounds like the plan, Apple would be up against heavy resistance from both content providers and competitors. 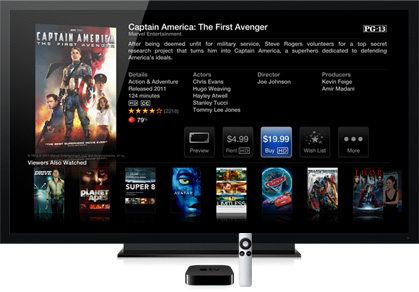 The reason it has failed with the Apple TV so far is not that it hasn’t tried. It’s that the TV business is a tough nut to crack: Content is still controlled by monopolists unlikely to give Apple the keys to their content archives. And simply introducing a new display on which to watch that content as it is currently delivered by existing distributors won’t offer consumers much that’s new. Remember, unlike in the phone business where the iPhone penetrated quickly, the TV upgrade cycle takes seven years. You can’t jump in with a new version of the same thing everyone already has – even if it is elegant – and expect millions of people to buy it, especially at price points that Apple will have to maintain in order to keep its margins far away from those of LG and Samsung. Apple’s only shot to sell such an expensive device quickly is if it does something very different. So what could Apple do to release a television that is completely different? Well, as McQuivey predicts, Apple should release “the world’s first non-TV TV”, and what would this device be called? The “iHub” of course! Here’s me putting on the record what I’ve been telling clients behind closed doors for more than a year: Apple should sell the world’s first non-TV TV. Instead of selling a replacement for the TV you just bought, Apple should convince millions of Apple fans that they need a new screen in their lives. Call it the iHub, a 32-inch screen with touch, gesture, voice, and iPad control that can be hung on the wall wherever the family congregates for planning, talking, or eating — in more and more US homes, that room is the dining room or eat-in kitchen. This idea of a standalone display, or “iHub”, gets even more exciting with the prospect of developers and the thousands of apps that could be created. Something like this could easily get me to replace every television in my house. 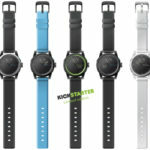 Use The “cookoo” Watch To Connect To & Manage Your iPhone!